Tampopo is one of the Japanese food places in Promenade 3. It is not hard to find because it is linked to the chain of restaurants on the first floor. Their space isn’t that big but is enough to cater a number of people. Their friendly staff met us and soon we were seated and browsing through their menu. Jason has been talking nonstop about how he wants to eat ramen so he ordered the Deluxe Hakodate Ramen, which was a Chef Recommended. I, on the other hand, decided to go for their Premium Loin Katsu set because I was too hungry to not eat rice and because I somehow wanted to compare it with Yabu’s. Jason described the Deluxe Hakodate Ramen as perfect and beyond compare. It was creamy and its saltiness was fair. The butter that went with it also complemented the rich flavor of the ramen. It had soft, perfect textured noodles that he really enjoyed. The veggies, corn, and egg that topped the ramen were pleasing as well. I believe that he overrated the ramen because he really wanted to have some. I may be biased in rating their katsu because I am a huge Yabu fan but I won’t deny that Tampopo’s Premium Loin Katsu was good! Similar with that of the house of katsu’s, this Japanese restaurant’s katsu set consisted of a bowl of Japanese rice, miso soup, shredded cabbage, and fruit slices. The katsu was golden, crunchy, and very flavorful but I found it a little too salty and quite oily because of the fat. I topped the shredded cabbage with their sesame sauce and I loved it! We were happy and filled when we finished our meals. 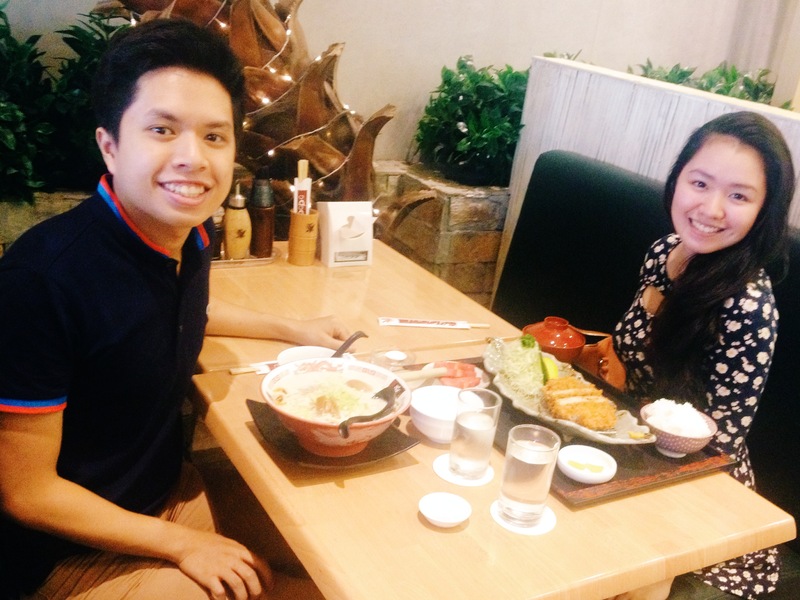 We enjoyed our trip to Tampopo because the place was neat, the people were nice, and the food was good! If you’re looking for the best ramen in town, include Tampopo in your restaurants to try. You might like and enjoy their ramen just as Jason did! We also recommend this place to individuals who need their Japanese fix!